As mentioned earlier, two of Jack’s younger brothers also emigrated to South Australia. First to arrive was Johann Ferdinand Hermann, on the ship Corona in 1880. He was listed in the passenger manifest under “Single Men”. At the subsequent trial, due to certain circumstantial evidence, the jury didn’t buy his story about a good Samaritan having given him the sheep and Hermann was sentenced to two years imprisonment. He served his term at Yatla prison. 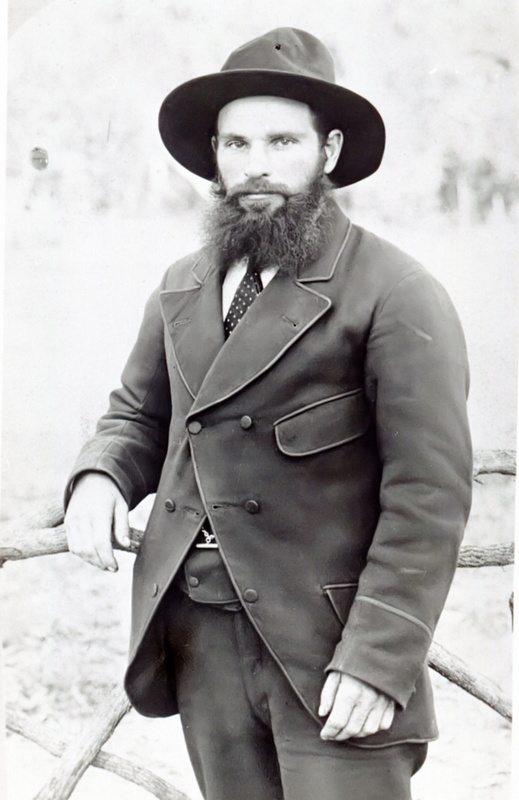 Hermann lived the rest of his life in Western Australia. Evidently he never married and his final years were spent at the “Old Men’s Home” at Point Resolution, Claremont, where he passed away about 1935. The actual name of the other of Jack’s brothers to emigrate is a bit confusing. In his early years in South Australia he was referred to as John George Adolph Reinhold Kakoschke, but in later years he referred to himself as Gus or Gustav Kakoschke. So, from here-on in we’ll refer to him as Gustav. Gustav and his wife Joannah Auguste nee Kluge arrived in SA on the 15th of September 1889 aboard the ship Hohensollern. Their daughter Auguste Adelaide Kakoschke was born in Adelaide on the 13th of May the following year. Hermann Kakoschke was a witness at her baptism which was held at St Stephen’s Lutheran church in Adelaide. Her birth certificate lists her father’s name as “John George Adolph Reinhold Kakoschke”. [From our own Correspondent.] Renmark. September 2. Gus continued living in Renmark until 1903, then moved to Mildura where he worked for Chaffey Bros. In 1918 he moved to the small settlement of Colignan in Victoria, working as a fisherman. He lived there until his death in 1929. Confusingly, there also exists a record of another probable relative, who also happened to be called Gustav Kakoschke (Kakoski). His death was registered in South Australia on the 28th of March 1897. He died whilst a patient at Adelaide Hospital with the cause of death being given as “Bright’s Disease with gangrene of right leg”. The record indicates that he was 38 years of age and was also a resident of Renmark. Unfortunately no relatives’ names were recorded. A possible explanation is that this record was actually for the death of Gus’ wife Johanna. Perhaps there was some confusion with the paperwork and the details of the informant and the deceased were transposed? This being the case it would mean that Gus was already a widower when his daughter drowned. A very sad state of affairs. Correspondence with some German families from about 1975 onwards suggested that their ancestor, Alexander Kakoschke, may have also been a brother of Jack’s. This seems fairly unlikely though as Alexander was born in Rowno in the Ukraine in 1871, yet Jack’s mother was still living in Groß Blumberg in 1880 when her father Gottfried Redlich passed away (she was the one who registered his death). There is some evidence that there were actually two Gottfried Kakoschke’s, of a similar age, living in Groß Blumberg in the mid 1800’s, so perhaps Alexander was the son of the other Gottfried. In any event, even though Alexander may not have been a brother of Jack’s, there probably still a family connection, just a few generations earlier though.